Reeve Wines is the brainchild of Noah and Kelly Dorrance. Named after the couple’s young son, this passion project serves as a way for them to work with fruit from a collection of fascinating vineyards they have stumbled upon throughout Northern California’s Anderson Valley and beyond. Noah, who was co-founder and head winemaker for Banshee Wines, and Kelly, who aided in the creation of Banshee’s tasting room and wine club, have assembled a strong team of industry veterans to help them with Reeve. 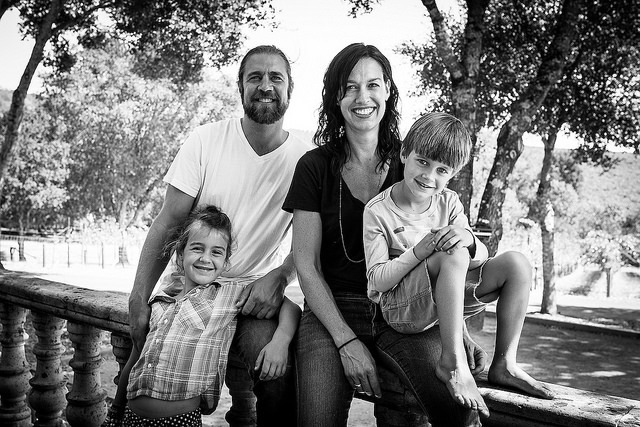 Winemakers Ross Cobb (Cobb Wines, Hirsch, Flowers, Williams Selyem) and Katy Wilson (LaRue, Kamen, Flowers) are partners in Reeve Wines, lending their expertise to the creation and care of the wines in the cellar alongside Noah. Meanwhile, Kelly dedicates herself to the marketing and management of the new brand, while the Dorrance children, Remy and Reeve, chip in as well, making Reeve Wines truly a family affair. The sources of fruit that make up the wines for Reeve are small, tucked away vineyards: cooler coastal sites at high elevation, old vines, low yields – the sort of magical places that inspire excitement for California wines. Nestled between the high-octane wines of the state’s past and the band of neo-California wines that leave some wondering what just one more degree of alcohol could achieve, the Reeve wines have texture, ripeness, and intensity, tempered with freshness, balance and focus.